Summary: Erickson Consulting Engineers, Inc. (ECE) was commissioned by the Bloody Point Owners Association (BPOA) to design and permit two coastal structures (T-Head groins), and to conduct beach condition surveys of the sand quantities moving along the coastline fronting Bloody Point to monitor the pre-and post-construction effects of these structures. 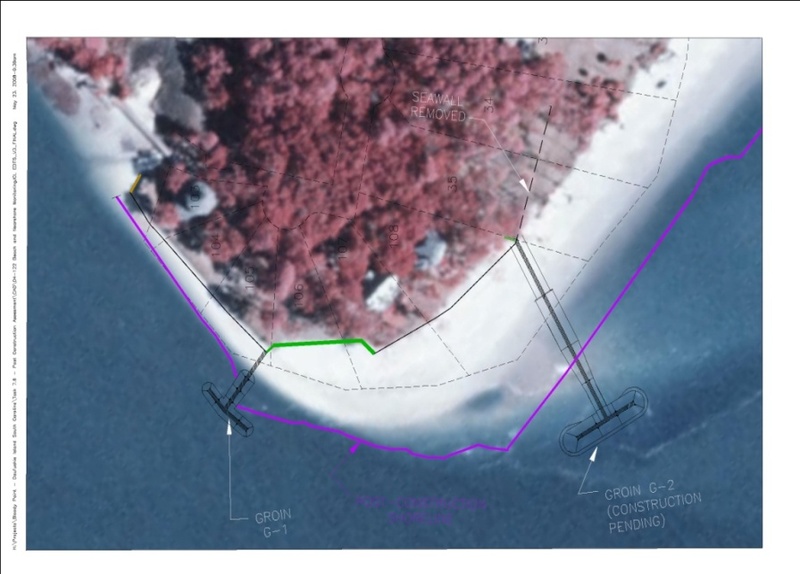 Ms. Erickson also served as Bloody Point’s Coastal Engineering expert witness in litigation between the State of South Carolina Office of Ocean and Coastal Resource Management (OCRM) and Bloody Point Property Owners from 2002 to 2004. Groin 1 was completed in September 2007. The construction of Groin 2 was postponed to document the performance and effects of Groin 1 on the adjacent beaches and allow fine tuning of Groin 2’s design (length/alignment). The information and observations from the annual monitoring reports provided the basis for optimizing the Groin 2’s alignment and length, which was constructed in 2010. The phased approach resulted in a significant economic savings to the client and resulted in a reduced groin footprint thereby minimizing environmental impacts. 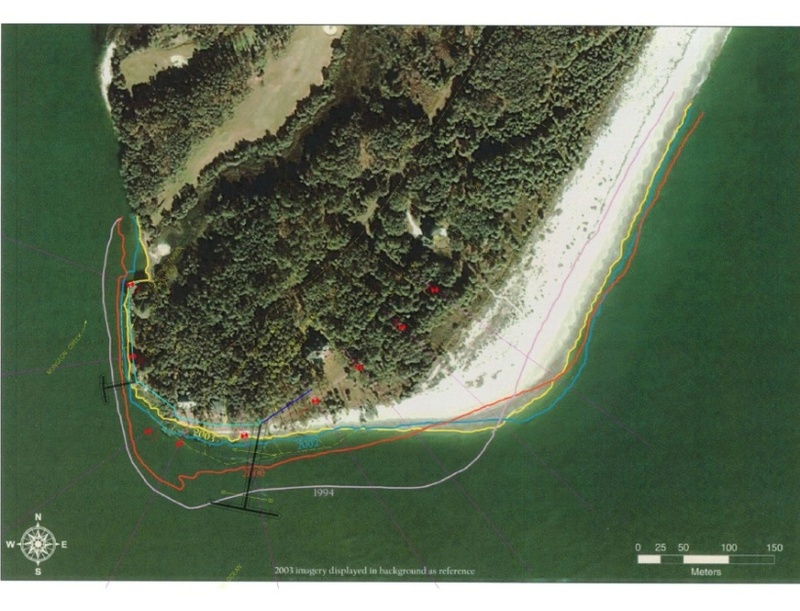 Challenges: Design challenges included a continuously migrating secondary flood channel causing severe erosion and scour as well as the need to ensure sand movement through the groin structures. 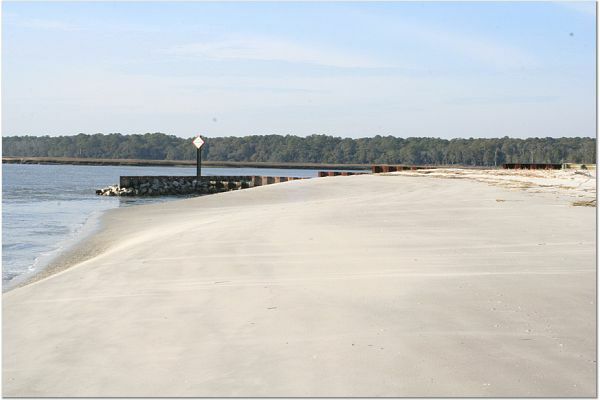 Schedule/Budget: ECE has observed on numerous occasions that coastal structures are typically overbuilt. As such, ECE recommended the project be constructed in two phases. Monitoring data was collected following the construction of Groin 1 to fine-tune the already permitted Groin 2 so that only the minimum structure required would be built. In addition, the project schedule was maintained and the client and regulatory agencies were pleased with the outcome of the project.